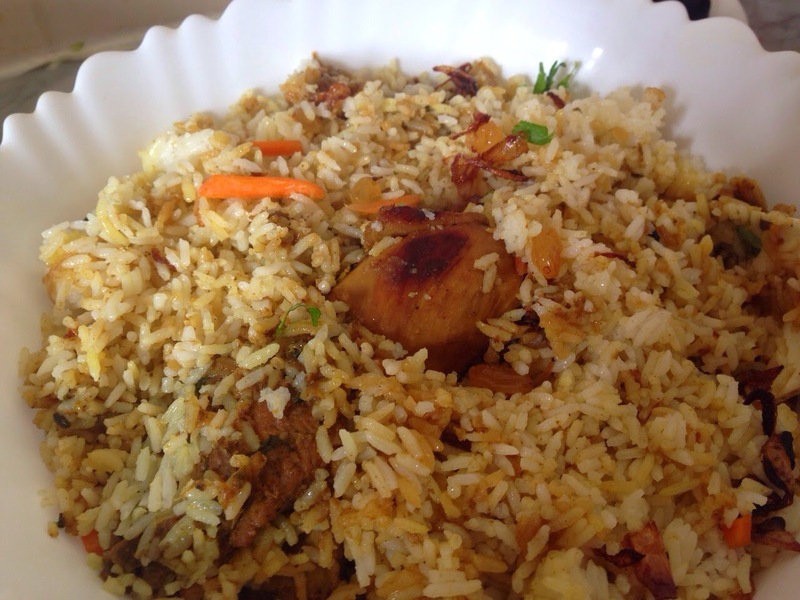 Hyderabadi biryani differs in taste and method of cooking from our Kerala biryani. It is one of the most sought after variants of the popular biryani. 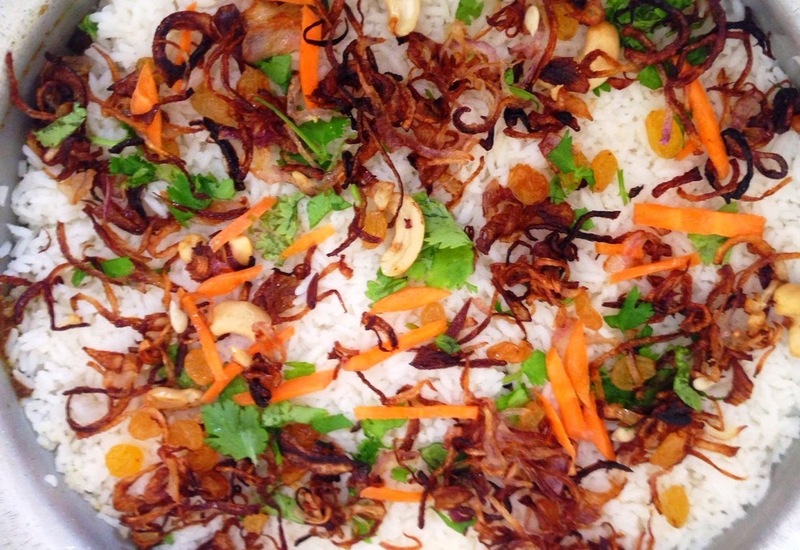 It is comparatively easier and quicker to make than other biryani. Marinate the chicken with half of onion sauté and with all other ingredient. Put it in the fridge for 1 hour to set. Cook the basmati rice with lots of water and with the ingredients for rice above. When it is half cooked; strain the water. Take a deep bottom vessel; add a tbsp of oil and ghee. Add the marinated chicken pieces in to it. cook it for 10 minutes(stir occasionally). Pour a tbsp of ghee, remaining sauté onion, a tbsp of mint leaves, coriander leaves, fried cashew nuts, raisins, carrot and saffron color(optional) over the rice. Cover it with an aluminum foil or cover the lid by sealing the edges with flour dough. Place a heavy weight over the lid. Cook on low flame for 25minutes. Open the lid after 15-20minutes.